There are a lot of investors for our little town. Investment Properties are still to be had, if you know where and how to find them. 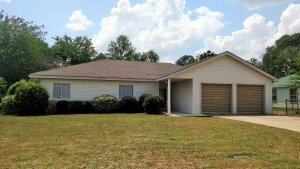 Investment Properties in Warner Robins have become almost as popular here as they are in Atlanta, Miami or Houston. This is the fourth quarter of 2017 and there are plenty of new and veteran investors coming to the weekly luncheons and monthly meetings, trying to get an upper hand on each other. Some are buying investment properties together to cut down marketing costs and share risk. THIS IS GOOD. 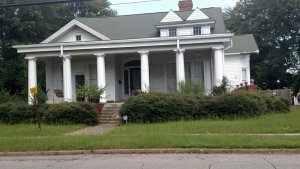 There is not as much profit to make with investment properties in Hawkinsville, Warner Robins, Perry as there is in, say, Los Angeles but the number of properties can make up for that. Many New investors are still having a hard time getting off the ground with one person’s money, so teaming up with some of the veterans lets the new guys do the heavy lifting and learn the ropes safely while the veterans can make just as much and not work as hard. Currently, the market in this area is still have a number of pockets that hold houses that can and need to be bought. The problem is that the crime rates in these areas are making it hard. Northern sides of Warner Robins have a few pockets that need some city intervention. I have a house pending sale right now on the north side of Warner Robins. It’s in a pretty good neighborhood, but the online reports say otherwise. Because of that, I have held the property longer than I expected. Rumors can play a big role in how fast a house sells. I would subject an additional 10% from any offers made to north Warner Robins Houses. The same can be said for Macon, only flip the sides to buy (North Macon is good). There are plenty of mobile homes that need a new owner. Many are owned by the veterans’ that are ready to go play and enjoy life. Working a finance deal with these people is a good route to take. There is usually a low buy-in if they require all cash (although a smart investor would not ask for all cash). Investment properties between Watson Blvd. and Russell pkwy are still good wholesome areas that are still stable. Most of the best deals are going to be all cash at the court house steps or in the listings right after. Prices are creeping up and many of the sellers know it. That can be good if you’re selling a house in the desirable areas. The trick is to get these houses for a good price. Many of the motivated sellers are from the areas north of Watson and Green Street. There is still a fear in the air that the market is about to top out. I personally think we have a year or two left before that happens again. Many people in the last ten years have reinvented themselves and begun a new life with new jobs and career fields. Many have made themselves better and are able to pay for the climbing prices of a home. Flipping most of your deals and keeping every third or fourth deal is still a good way to go right now. Thinning out your portfolio is still a good choice right now if you have enough to drop a few. Otherwise, keep what you have to pay off debts. That way you can adjust your rents with the market without hurting yourself.